community day Archives | What Should We Do Today? Did you know Marion, Ohio is one of the top popcorn producers in the country? If you’re up for a road trip this weekend, you can celebrate popcorn with live musical acts like Kellie Pickler, rides, a parade, contests, a 5K, talent show and more! Visit Columbus’ downtown Farmer’s and Merchant’s Market for lots of fall goodies! The market runs through October 14, so you only have a few more weeks to do so! The “Biggest Little Festival in Ohio” includes BBQ, homemade ice cream, hot air balloons (including rides), live entertainment, crafts and baked goods for sale and a silent auction! Admission is free! 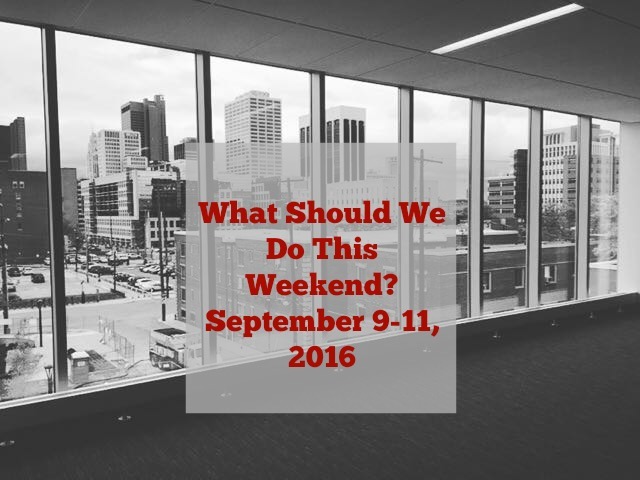 If you attend, check out more things to do in Plain City! Check out the Bexley’s Got Talent Show, play games and do crafts! The movie Inside Out will be shown at 8:00 PM! Food options include Hot Chicken Takeover and Johnson’s Real Ice Cream! Celebrate the Grand Reopening with a ribbon cutting ceremony, food, and activities like a bounce house, climbing wall, live entertainment and a showing of the OSU game! See more information here. This street fair is full of fun including live music, food, carnival rides, games and activities for kids, a sunflower show, a Kids Fair and a car show, just to name a few! See emergency vehicles, utility trucks, safari vehicles and more up close while visiting the zoo! The events for the day include yoga, a climbing competition, visits from local mascots, volleyball, music, sumo wrestling and climbing clinics! This festival is open to families and all ages can climb! The day will end with a showing of the movie Everest! While you’re there, check out what else there is to do with kids at Scioto Audubon! This family-friendly toy show may very well be a walk down memory lane for us parents! Click here for information on how to dress up to be entered into a drawing for door prizes! Kids under 12 are free! Meet Daniel Tiger at this brunch buffet with roller skating afterwards! Tickets are $15 per adult and $10 per child over 2. You MUST have reservations for this event – call the number above for tickets! This special day aims to allow children to learn about the vehicles, equipment, and technology used by law enforcement officers as well as meet officers in person! There will also be crafts, inflatables, and a “dunk-a-cop” tank! The 1st 1,000 children in attendance receive a free bag and water bottle. Admission and refreshments are free! Cops and Kids Day is part of Community Day, which also includes The Great Westerville Food Truck Fest and the 9/11 Memorial Observation. Here are some more ideas for things to do in Uptown Westerville. Check out Young Chef’s Academy for cooking demonstrations, sample recipes, door prizes and special deals! Register online!